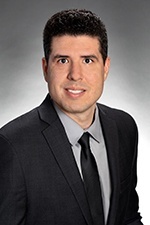 Daniel Eric Gonzalez practices exclusively in the area of labor and employment law. He has represented clients—which have included international corporations, as well as small and midsize employers—in a variety of employment lawsuits and advises them on employment matters, such as those involving the Occupational Safety and Health Administration (OSHA) and Fair Labor Standards Act (FLSA) exemptions. Daniel has worked with employers facing Title VII discrimination suits brought by the U.S. Equal Employment Opportunity Commission (EEOC), as well as FLSA wage and hour and restrictive covenant lawsuits. He has also represented employers in administrative proceedings in the EEOC and National Labor Relations Board (NLRB). Additionally, Daniel assists with drafting employment policies, including employee handbooks. Prior to joining Hinshaw, Daniel practiced at a Miami-based labor and employment firm. During law school, he was an extern for the Honorable Philip R. Lammens, U.S. District Court for the Middle District of Florida. Daniel also interned for a Miami-based firm, where he assisted with family law matters. A former teaching assistant for both Legal Writing and Appellate Advocacy, Daniel was also a member of the legal honor society Phi Delta Phi. Daniel enjoys traveling and supporting his favorite sports teams.